A couple was found dead in their rented room at Sukantanagar (Sukantapally) in Siliguri today morning. Atul Sarkar and Purnima Sarkar were living in a rented room. Purnima was separated from her earlier marriage and has a daughter and son from her earlier marriage. Since they had a single room the daughter used to stay with the landlord and son at her mom's place. 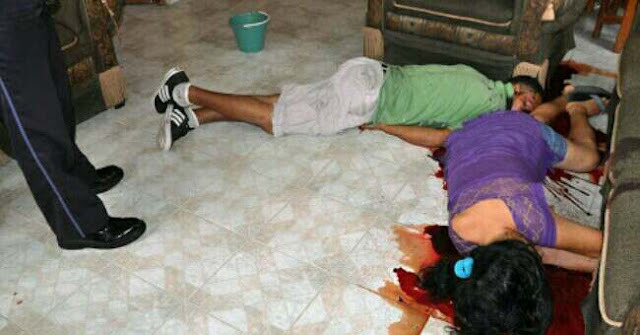 Today morning when their daughter came downstairs to her parents room, she found both of them dead. She raised alarm and locals called the Asighar police which took the bodies for post mortem. Atul was a carpenter. Marks were spotted on Purnima's neck and Atul was found hanging. It's ascertained that Atul first strangled Purnima to death and later hanged himself. Police is investigating into the case.